Upgraded to Photoshop CC 2018 and can't find the additional brush sets from earlier versions of Photoshop? This tutorial shows you how to restore all of Photoshop's missing brushes using the new Legacy Brushes set! The additional brush sets found in earlier versions of Photoshop. But in Photoshop CC 2018, Adobe made big changes to the way Photoshop's brushes are organized. 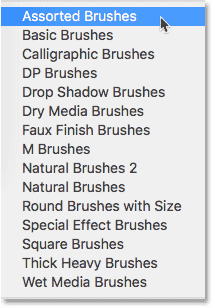 And at first glance, the additional brush sets from earlier versions of Photoshop seem to be missing. Fortunately, they haven't gone away. 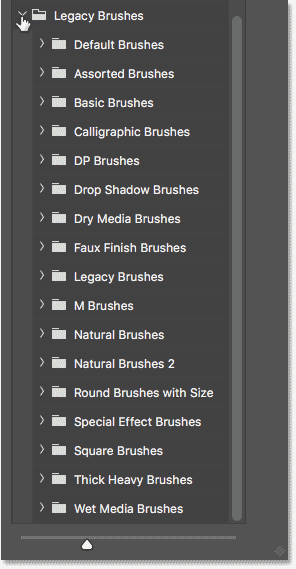 All of those additional brushes have been moved to a new set that Adobe calls the Legacy Brushes, and here's how to use it to find any brush you need! The menu icon in the Brushes panel. The gear icon in the Brush Preset Picker. 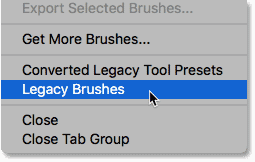 Step 2: Choose "Legacy Brushes"
"Legacy Brushes" is where you'll find all of Photoshop's previous brushes. Loading the Legacy Brushes set into Photoshop. The new "Legacy Brushes" set appears. 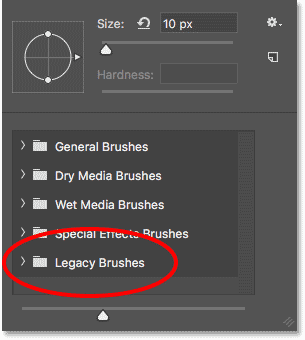 All of Photoshop's classic brushes are found in the Legacy Brushes set. And there we have it! That's how to use the new Legacy Brushes set to restore Photoshop's classic brushes in Photoshop CC 2018! If you're an Adobe Creative Cloud subscriber, then along with the classic brushes, you can also download over 1000 new Photoshop brushes! 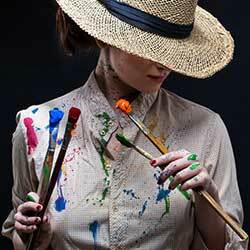 You'll also want to learn how to save your brushes as custom brush presets. Visit our Photoshop Basics section for more tutorials!